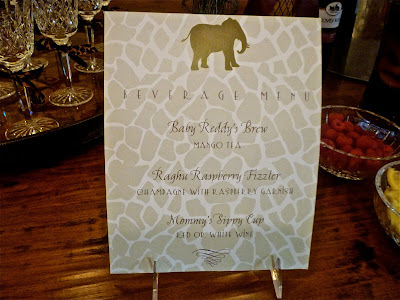 This wild baby shower was hosted by my friend, Paige (see her Cupcakes & Cocktails party!) for a close friend. I love the color combination she chose...leaf green, orange & white mixed with different animal prints. 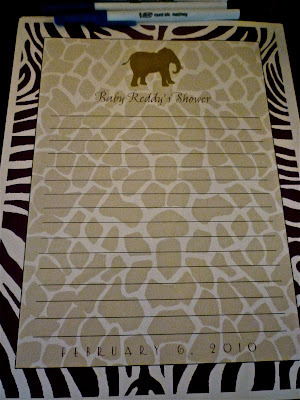 Hayley Hardastle designed the invitation and other great paper products. 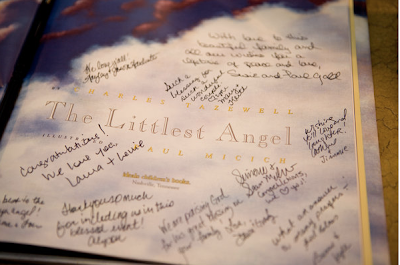 Guests signed their names on this keepsake paper as they walked into Paige's home. A similar sheet was used to record gifts as the mom-to-be opened presents. 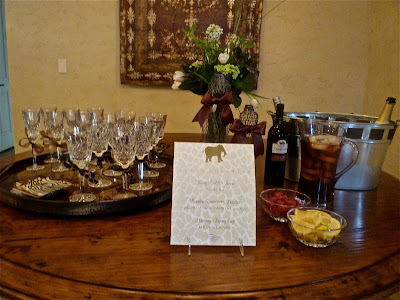 The "beverage bar" which included 3 drinks with creative names. 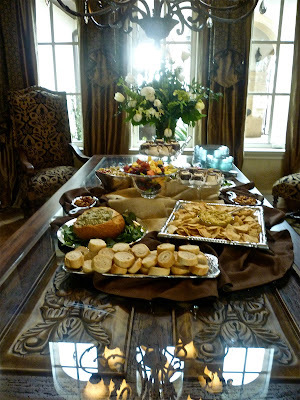 Guests dined on chicken satays, mozzarella penne pasta salad, spinach artichoke dip, hummus & fruit salad. Are these petit fours not the cutest?! 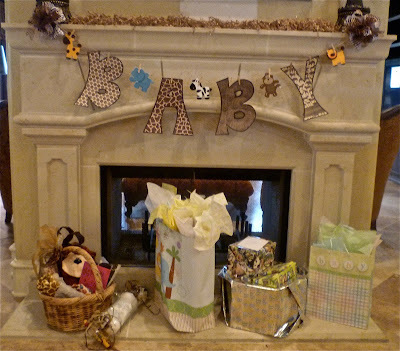 Paige got crafty and created the "BABY" sign that hung on the mantle. 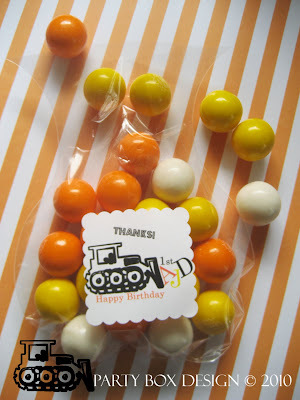 The colors of the candy in this candy station really pop! 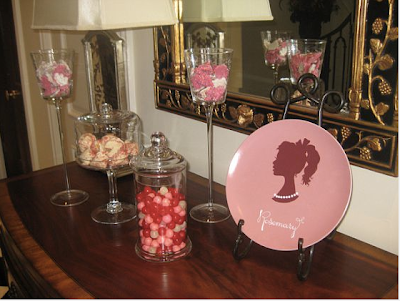 This is a great example of how a small and simple candy table can still make a nice impact. 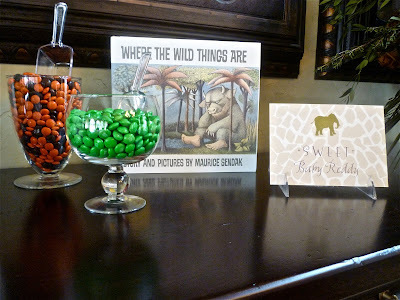 To see more pictures of this perfectly executed party, visit Paige's blog, HERE. 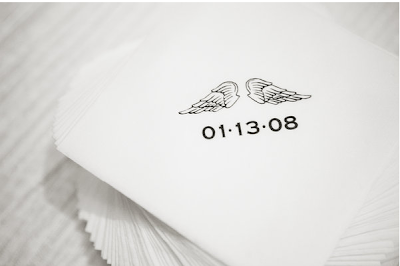 * Invitations & paper products were designed by Hayley Hardcastle. * The plush giraffe is by Melissa and Doug via Amazon. 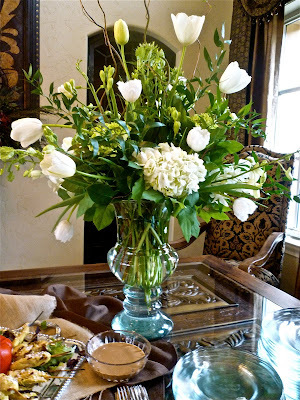 * The flowers and catering came from Central Market in Southlake. 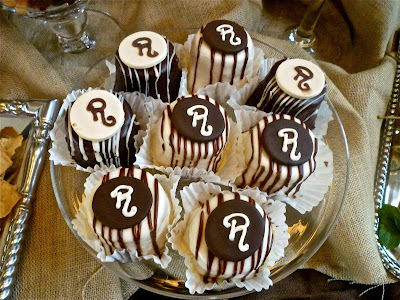 * The Cakery in Southlake made the adorable monogrammed petit fours. 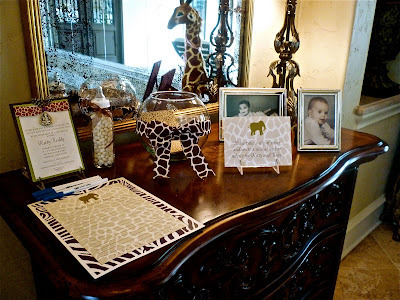 * The animal print ribbon and cardstock to make the "BABY" sign was purchased at Hobby Lobby. 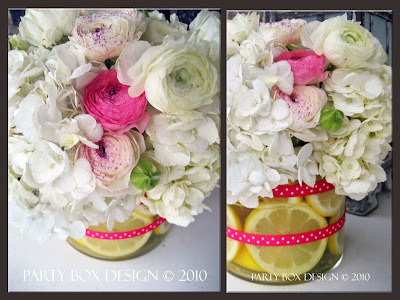 I was so glad when Jessica from Party Box Design got in touch with me! Browsing through her products, I can see how talented she is and that she has an eye for design. 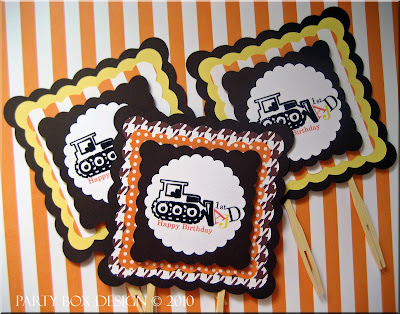 I think great boy parties are hard to come by, so I was so excited to find her take on the construction theme. I'm a sucker for houndstooth! You may have already seen the next few pictures floating around the blogosphere. 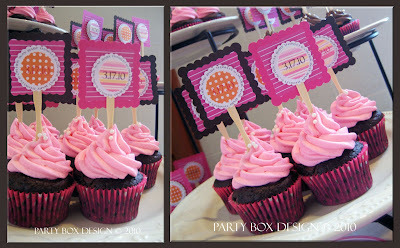 They are from a cupcake inspired baby shower that Jessica helped plan for a grandmother-to-be (love that idea!). 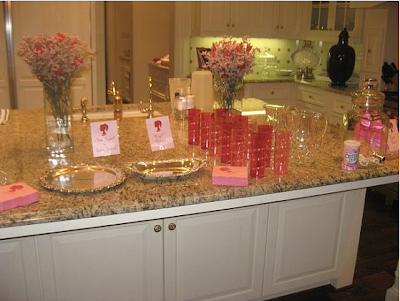 Be sure to check out Jessica's website and blog for more party inspiration and to learn more about her products and event planning services! 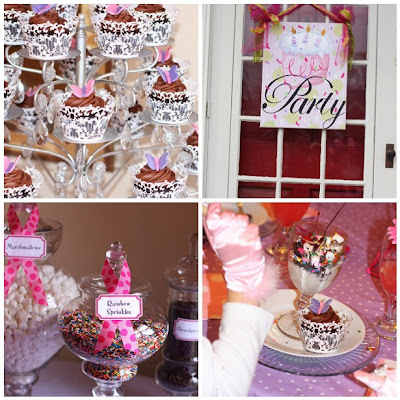 This GREAT Fancy Nancy party was sent to me and I knew I had to share it with you! 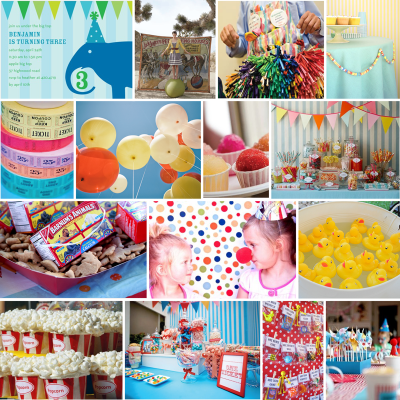 Kristi went all out for her twin daughter's 6th birthday celebration. 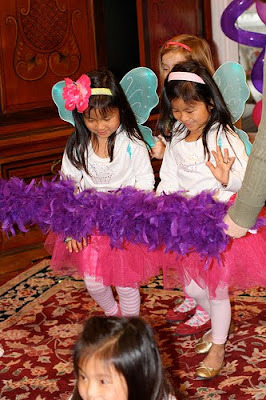 The party guests played dress up, made posh puppies, played games and had Fancy Nancy read to them with a twist. 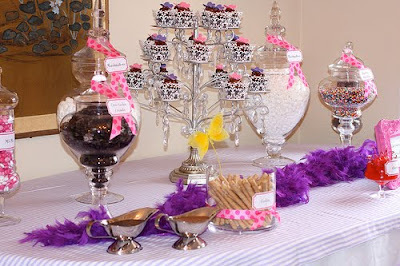 The yummy parfait table (ice cream sundaes!) 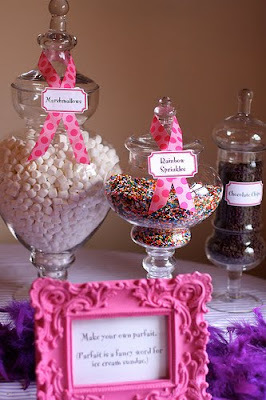 included rainbow sprinkles, chocolate chips, Oreos, cherries, marshmallows & pink M&M's. You can see more party pictures HERE. * The cupcake wrappers, hot pink frame and pink Eiffel Towers all came from Hobby Lobby. 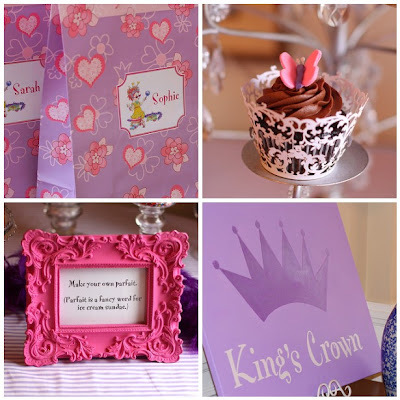 * Rose Petals Bakery made the cupcakes and edible butterfly toppers. 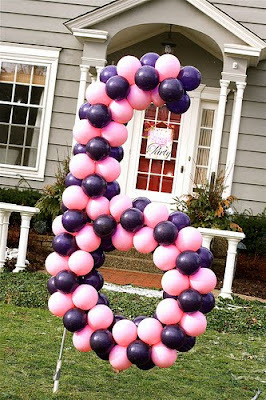 * Chicago based, Unique Balloon Decorating, created the large "6". 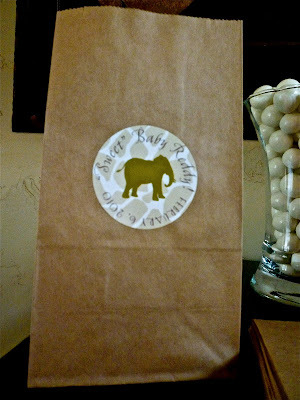 * Kristi made all of the tags, labels, straws and tablecloths! A friend gave me a recipe to a chocolate chip bundt cake that is DIVINE. 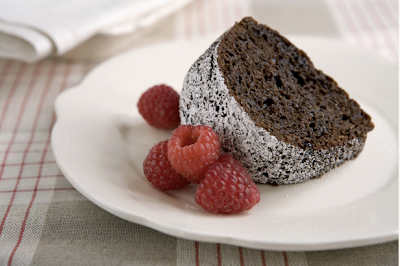 It is super moist and what's even better is that is so easy to make! There are NO WORDS to describe how excited I would be to find this waiting for me at the door as I left a late night wedding!! 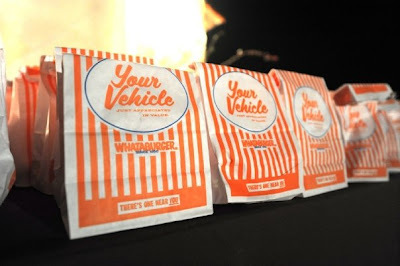 We have all seen sweets, such as cookies or a candy station, set up for guests to indulge in as they make their exit, but how great would it be to find a hamburger or chicken fingers with fries waiting for you!! 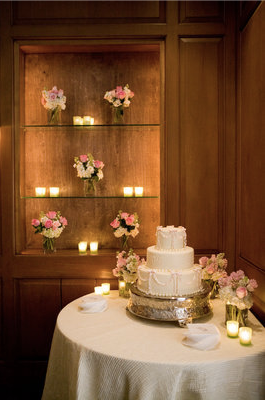 This would not only work after a wedding reception, but would be a nice touch after any late celebration! Michelle from Maddycakes Muse is hosting an EGGcelent (I could not resist!) 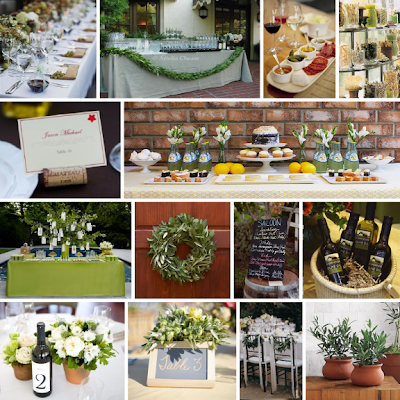 spring parties and tablescapes contest!! 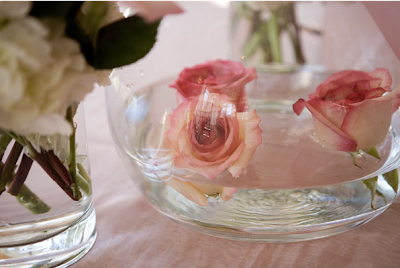 I know we are all ready for spring and this is the perfect event to help us get in the mood. All 3 prizes are GENEROUS. 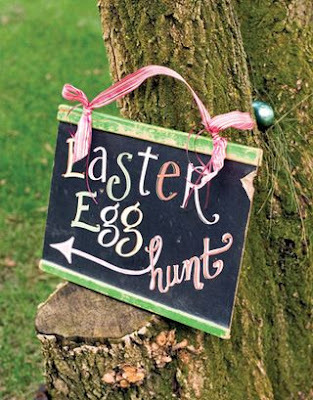 The first place winner will receive a $100 gift certificate to Etsy!!! I am so excited to be on the judges panel and be in the company of five very talented and creative ladies...Amy from Stem, Monique from Enchanted Expectations, Susan from Between Naps on the Porch, Kara from Karas Party Ideas & of course, Michelle from Maddycakes Muse. 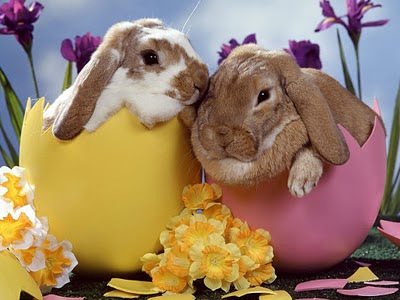 Hop on over (I just can't stop!) to Maddycakes Muse to learn more about the fabulous prizes and how to enter. Don't delay...the contest ends on Sunday, February 28th. Birthday Girl is a daily read of mine and I have always loved seeing the inspiration boards that Becca creates. So, I was thrilled to learn that she now offers custom inspiration boards! I knew I had to order one. Here is the board Becca designed for my Dad's upcoming SURPRISE party. If you know him....shhh!!! I am so pleased with the outcome! 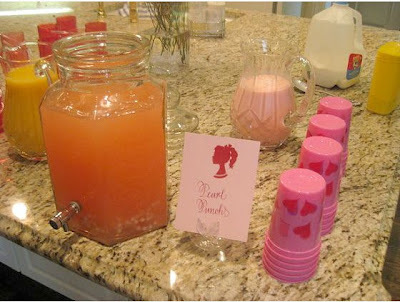 Be sure to read below for the party ideas that she came up with. We chose a color scheme of olive green and sienna and this is her take. Here are two other great boards Becca designed...a classic carnival birthday and a fairy garden party for Kim at The Tomkat Studio. I have a very special party to share with you. 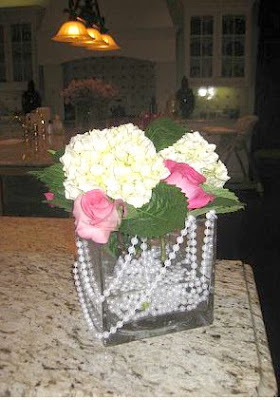 I know you will LOVE the gorgeous, girly details which will hopefully serve as inspiration. 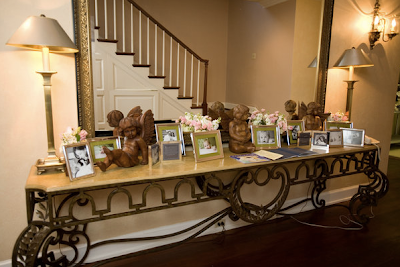 This particular event was held to celebrate the Christening and adoption finalization of a sweet baby girl whose parents went through a long journey to get her here. 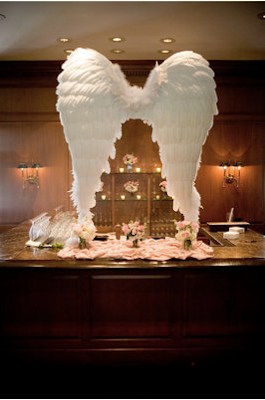 Angel wings were found throughout the party since that is what they call their daughter. As an adopted child myself, my friend's story and this party touches my heart. What a blessed little girl to be brought into this world and put into the hands of two loving and deserving parents! I feel the same way about my parents. Today I kissed an angel. I knew it from the start. The first time my angel smiled at me, I gave away my heart. Today I kissed an angel, this angel child of mine. Though not of my creation, my child by God's design. Today I kissed an angel, my heart is dancing wild. 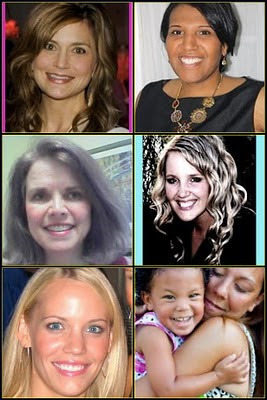 A family, by a miracle, blessed by this angel child. 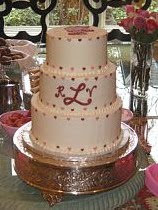 The photography was done by my immensely talented friend, Leslie, of Goodlight Photography. 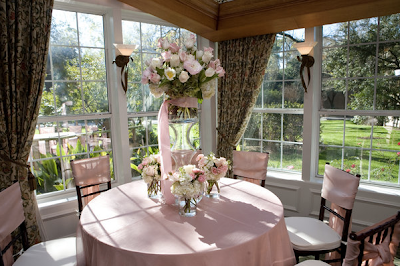 * The party was held at The Manor House at The Houstonian Hotel. 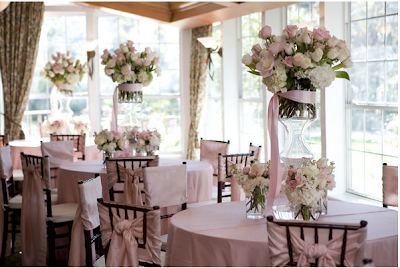 * Events in Bloom created the gorgeous flowers and decor. 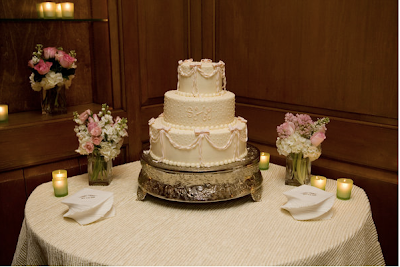 * The cake came from Who Made the Cake. The proud mommy, Christine, coordinated our wedding and for whom I worked for. 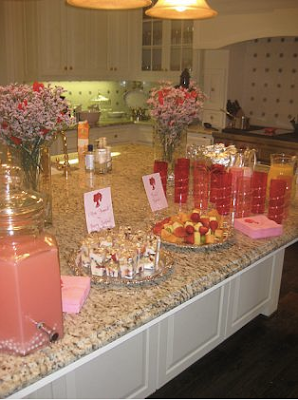 She also planned these amazing parties, here and here, for her little girl over the past few years. 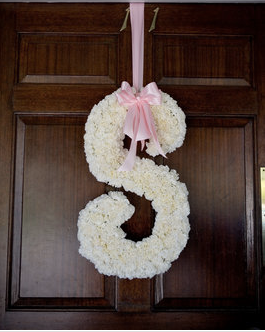 They just welcomed home their second baby girl! 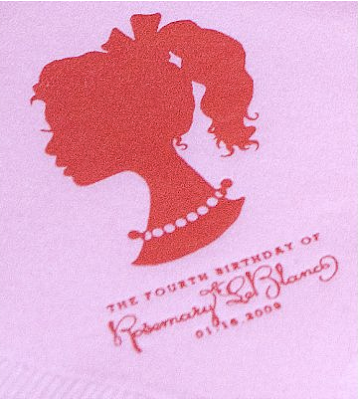 The Pancakes & Pearls birthday party pictures are here! 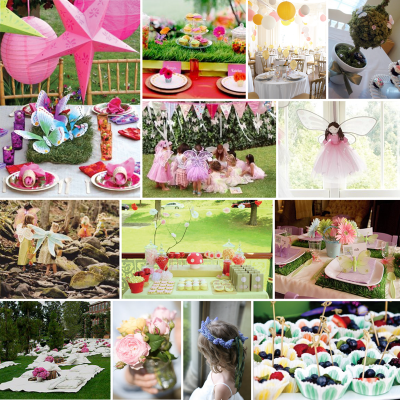 As usual, my friend, Julianna, put together an adorable party for her daughter! 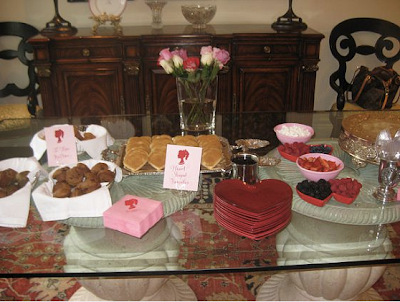 On the menu were heart shaped pancakes, mini fruit parfaits, fruit kabobs and mini muffins. The little girls enjoyed manis and pedis! 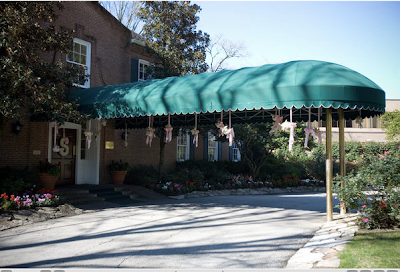 Besides being pampered, the girls decorated flip flops and frames, strung necklaces and had a style show! It was a busy morning! 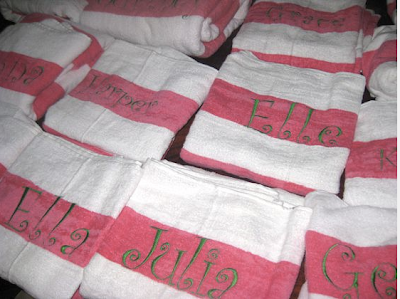 Favors were monogrammed spa towels. 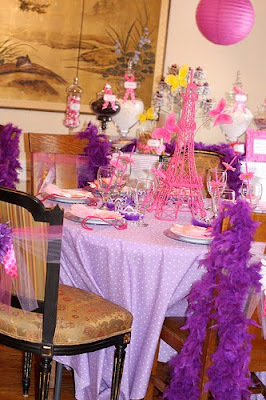 This was such a unique theme for a girls birthday party, but it can easily be turned into a Valentine's party. 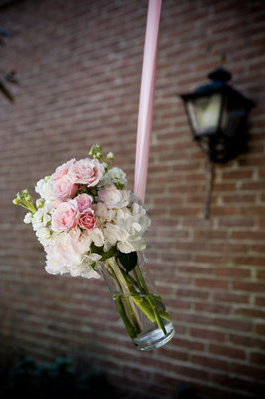 It's not too late to plan! 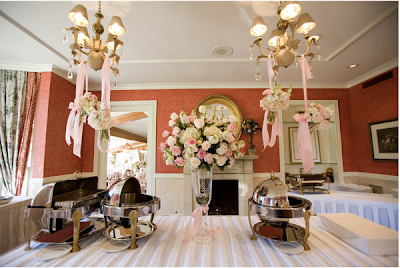 * Invitations, napkins, food cards and melamine plate came from Hayley Hardcastle. 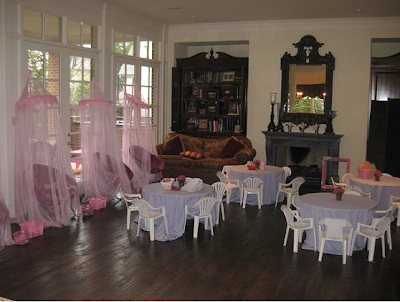 * Simply Pretend was her source for the pink nets, spa chairs, kid tables and chairs. 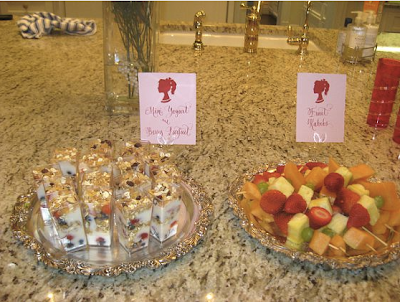 * La Madeleine made the mini parfaits and the muffins were from JD's Chippery (my absolute favorite cookie place in Dallas!). 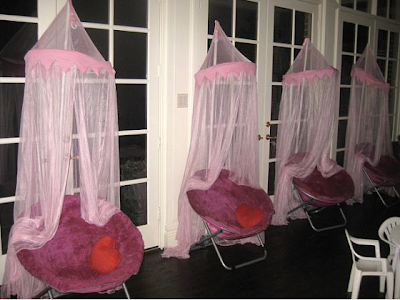 * The heart pillows on the mani/pedi chairs came from Target. 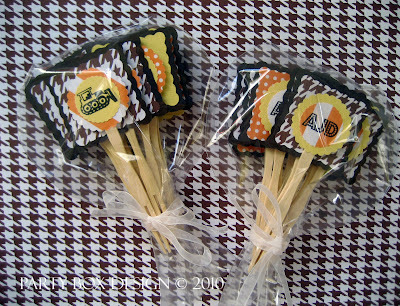 * The cute spa towels were ordered from Cotton Fruit and were monogrammed in Dallas.